Kaye Abad and Paul Jake Castillo are expecting their first child six months after their wedding. Kaye Abad is going to be a mommy. The actress shared the good news via Instagram earlier today, July 13, 2017. 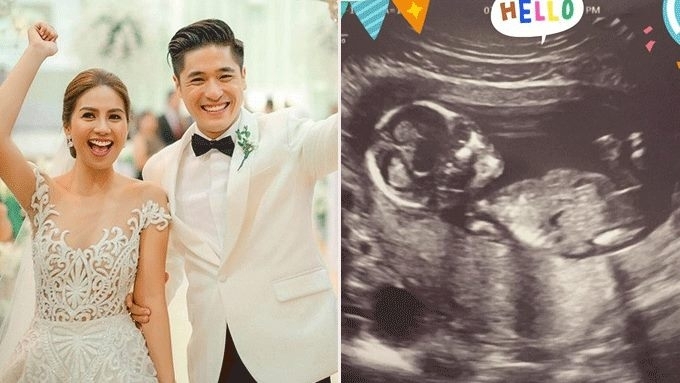 Six months after their grand wedding in Cebu, she uploaded a sonogram of her and hubby Paul Jake Castillo's first baby with the hashtags "May Baby Castillo na si Abad," "Blessed," "Bday gift," and "excited." Kaye turned 35 last May 17, 2017. Since their wedding last December 8, she and Paul Jake have been leading a quiet life in Cebu.